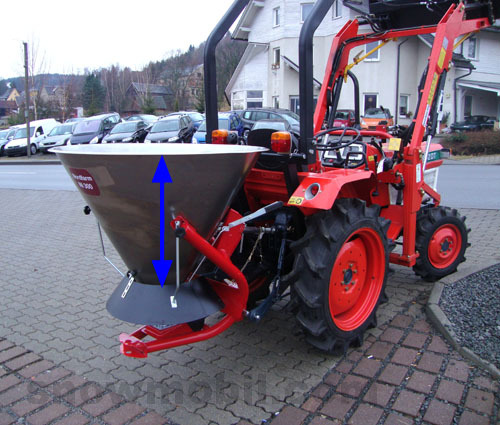 899,00 EUR 19 % VAT incl. 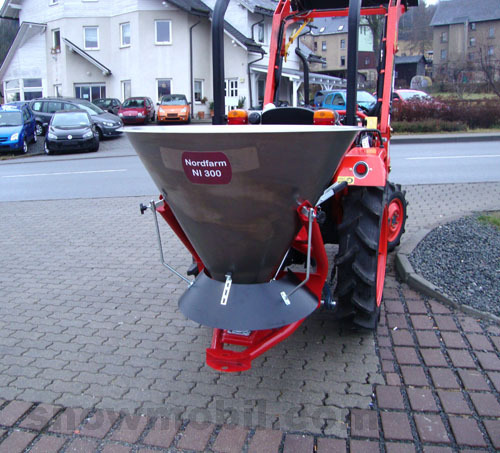 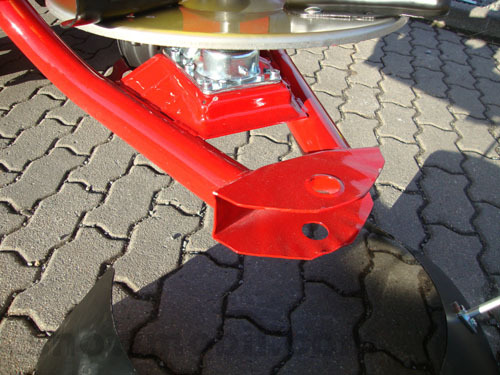 This Nordfarm spreader is ideal for tractors / compact tractors from 8,0PS. 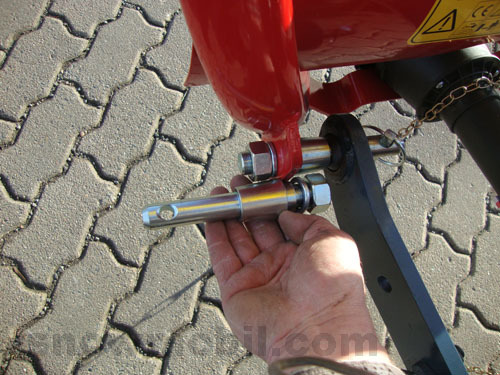 The tractor / small tractor should have a rear three-point linkage KATI and a standard PTO with 540rpm. 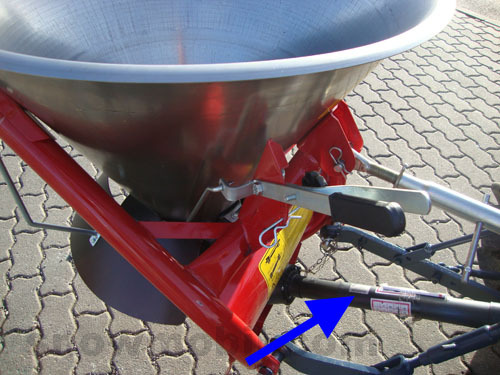 The spreader is made by one of the largest spreader producers in Italy, including German manual and spreading chart. 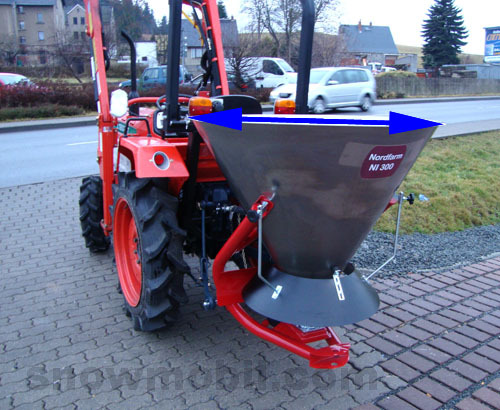 The distribution system with side discharge openings of the hopper allows a large spreading accuracy, it promotes the same amount of grit on each fan shovel.The double lever system offers the option to spread on the right or left side but also on the whole width. 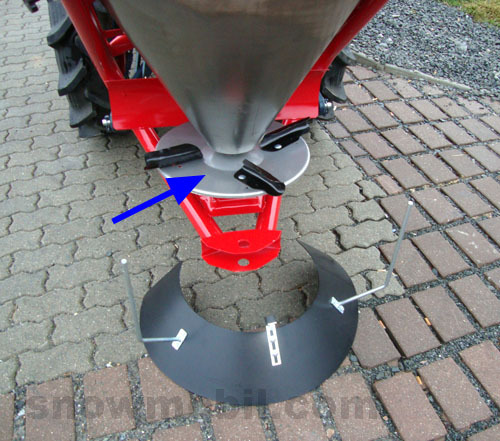 Due to the infinatly variable adjustment of the deflector plate the spreading width can be adjusted almost infinitely (from 60 cm to 16 m). 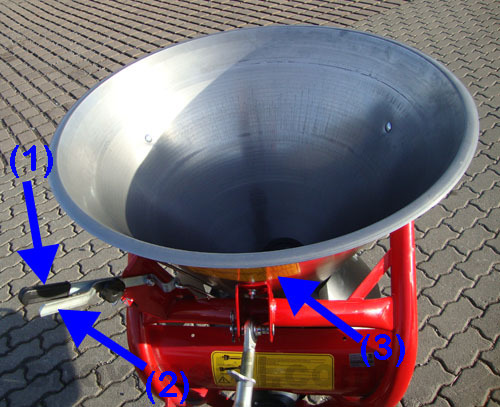 The hopper is made of stainless steel and all other metal parts are powder coated sheet steel. 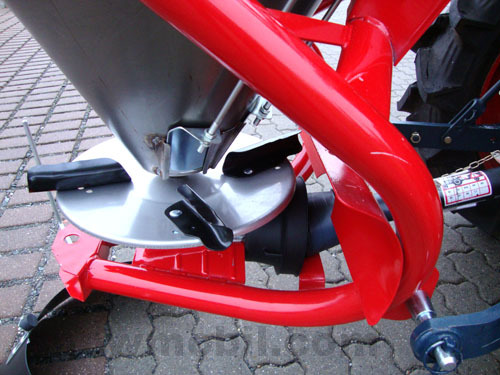 The spreder lens is made of V2A stainless steel Nirosta. 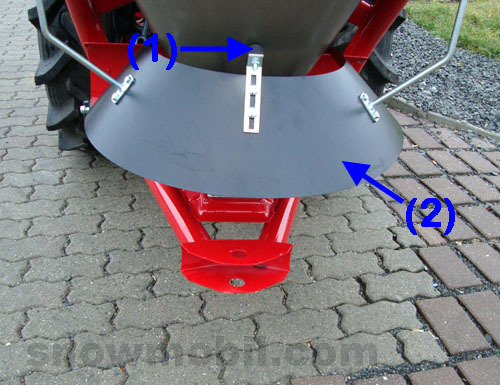 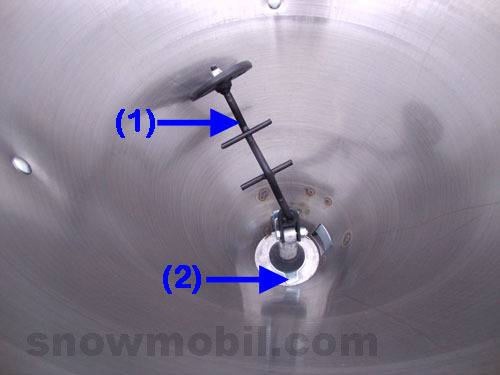 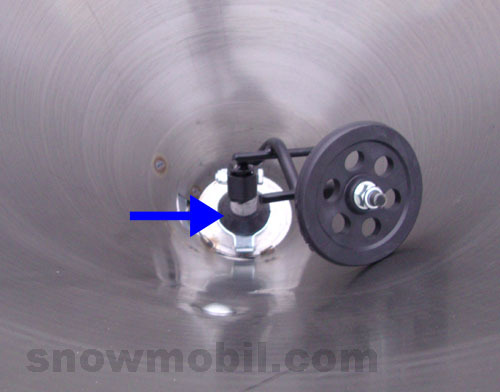 (2) The deflector plate is infinitely adjustable and thus regulate the spreading width infinitely. 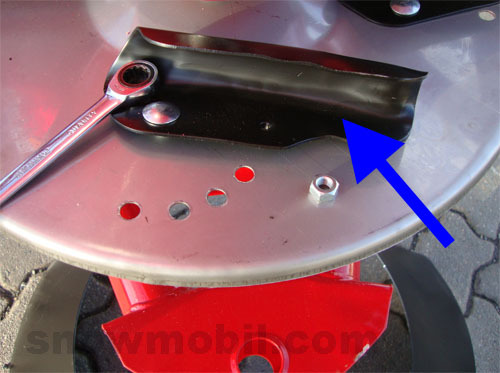 The bolts for the lower link arm can be screwed inwards. 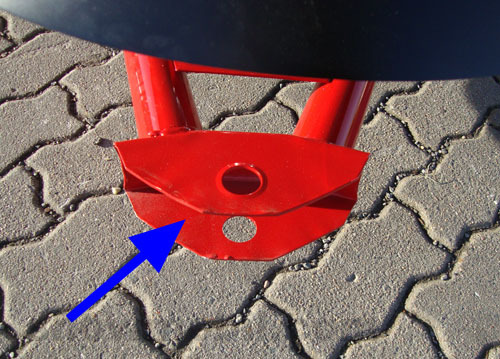 The PTO is included as standard in the package. 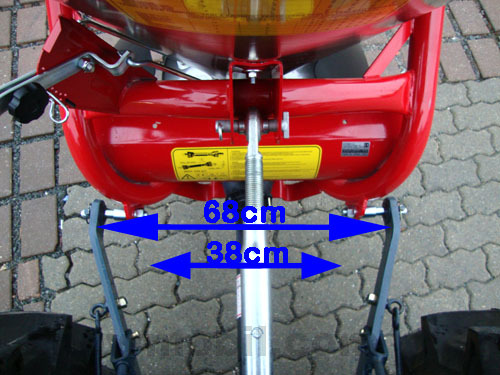 It must be shortened to the correct size by the customer if necessary. 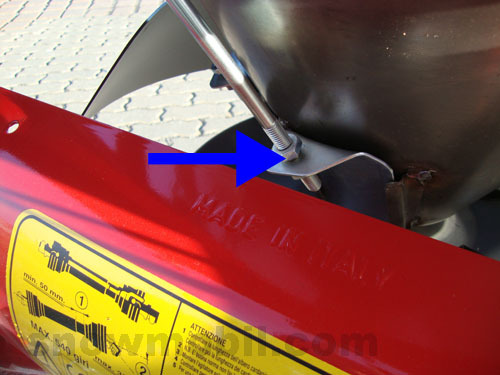 The spreading vanes are 4x adjustable in angle. 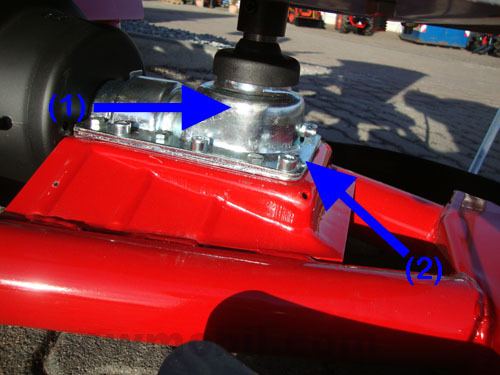 Thus, the spreading width can be further varied.